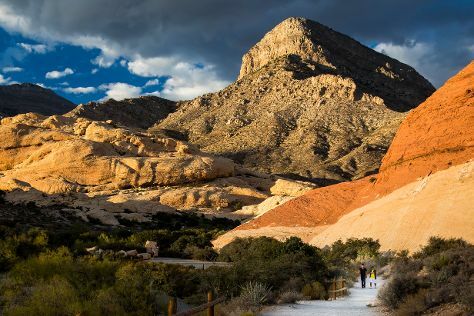 Get outdoors at Red Rock Canyon National Conservation Area and Lake Mead National Recreation Area. Your cultural itinerary includes sights like The Mob Museum and The Neon Museum. Explore the numerous day-trip ideas around Las Vegas: Boulder City (Hoover Dam & Boulder City/Hoover Dam Museum) and Henderson Bird Viewing Preserve (in Henderson). Spend the 11th (Thu) exploring the stark beauty of Escape Adventures and Las Vegas Cyclery. There's lots more to do: shop like a local with The Strip, take a memorable tour with Tours, take in nature's colorful creations at Bellagio Conservatory & Botanical Gardens, and try your luck at Wynn Las Vegas. To find other places to visit, traveler tips, ratings, and other tourist information, read our Las Vegas online visit planner . If you are flying in from Brazil, the closest major airports are McCarran International Airport and Laughlin Bullhead International Airport. In April, daytime highs in Las Vegas are 31°C, while nighttime lows are 16°C. Finish up your sightseeing early on the 13th (Sat) so you can travel back home.